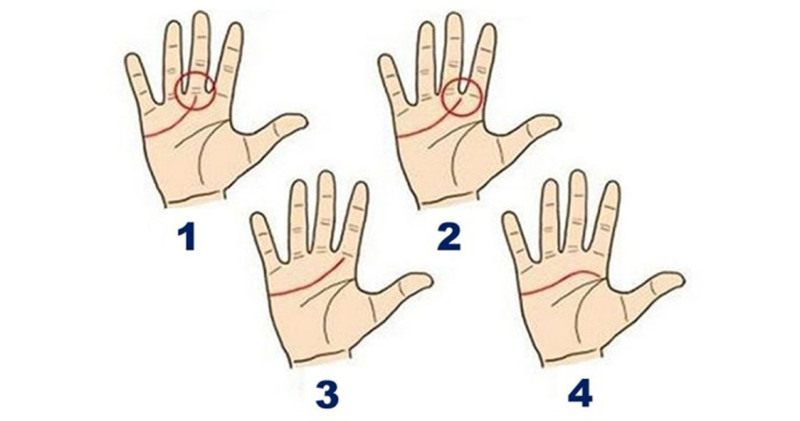 As it turns out, the ‘heartlines,’ or indentations on a person’s palm, reveal quite a bit about them … possibly more than they’d like to admit! From personality traits and overall attitude to the best option for a possible spouse or successful relationship, our hands hold the answer. The question remains: what are your heart lines saying about you? Looking at the palm of your right hand, you’ll see 3-4 indentations or ‘lines’ running horizontally from the base of your fingertips to the start of your wrist. The ‘heart line’ is the defined valley located at the very top of your palm (outlined in the image below). Traditionally, the heart lines run underneath your middle or pointer finger, extending to the edge of your pinkie or even slightly past it (everyone’s is different). Now that you’ve figured out where the heart lines lie, let’s see if they know a thing or two about you! So where does your heartline begin? You’re the driven type, what some may call a “natural leader.” In addition to regularly accomplishing your goals, you’re independent and decisive. Education and intellect are prized possessions in your mind. On the opposite end of the spectrum are emotions. People with this type of heartline are known to be somewhat ‘cold’ or ‘stoic’ every now and then. Kindhearted, generous, and thoughtful are words that best describe your personality. While people naturally trust you with the deepest and darkest secrets, you wisely shy away from sharing your innermost thoughts. Skeptical and unsure of ‘foreigners,’ you are known for being pretty sensitive to society’s opinion of you. With that being said, you’re the kind of person to consider both logic and emotion in tough situations. Not surprisingly, you prefer to act as the ‘token caregiver.’ While dealing with your own troubles internally, you appear uplifted and reassured. Seeing the opportunity in life, or rather, what could be, you’ve earned a reputation as an ‘idealist,’ or ‘stargazer.’ Catering to the comfort of others, you frequently forget to nurture your own soul. Just remember, you’re deserving of some ‘me time’ as well. Individuals with this type of heart line are some of the world’s best listeners. Patient and keenly observant, you pick up on the details most simply disregard. As a result of your incredible astuteness, you naturally soak up the emotions of those in your inner circle. Looking out and standing up for the underdogs in life, you make our planet a better place. Was your hand line reading rather accurate, or far from the case? Let us know your thoughts in the comments below and SHARE the knowledge with your friends and family on Facebook!